Who was Apicius? 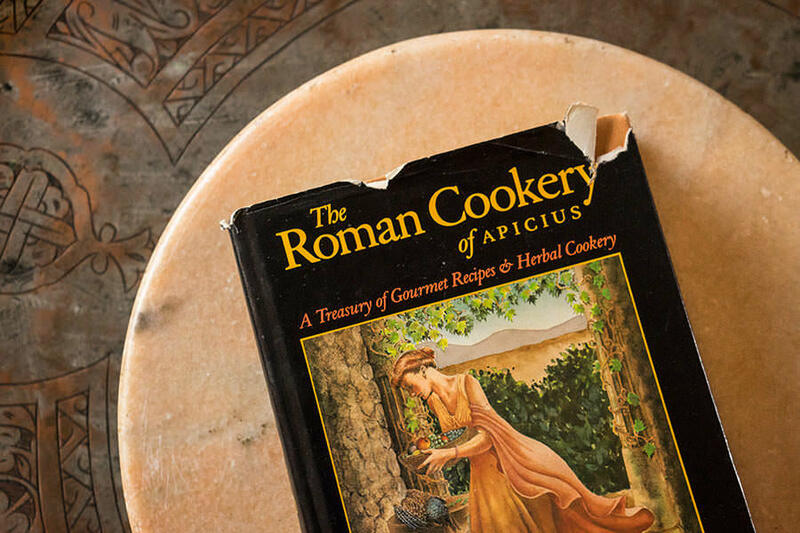 How can one name be synonymous with Roman cooking, yet belong to no one person? Apicius, we are told, wrote the largest collection of Roman recipes that remains today, de re coquinaria, yet no one knows exactly who wrote the books. 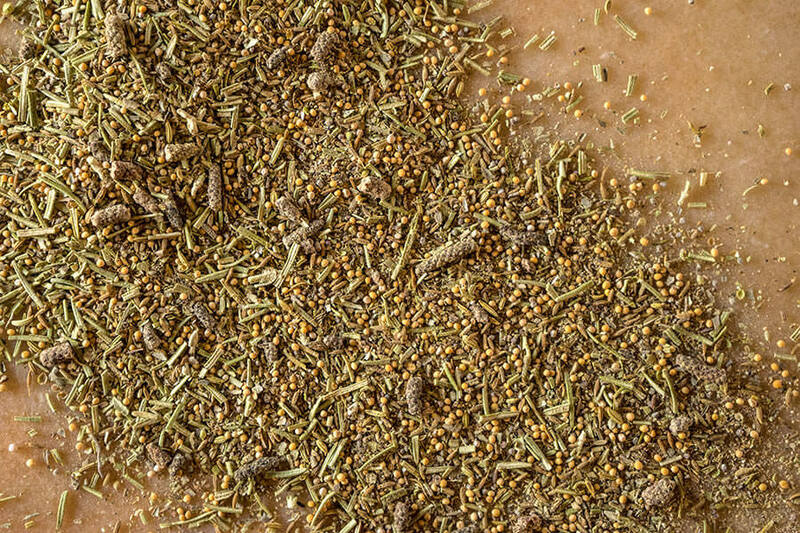 One of our primary sources for understanding Classical cuisine- and the inspiration for our new spice blend- remains shrouded in mystery. 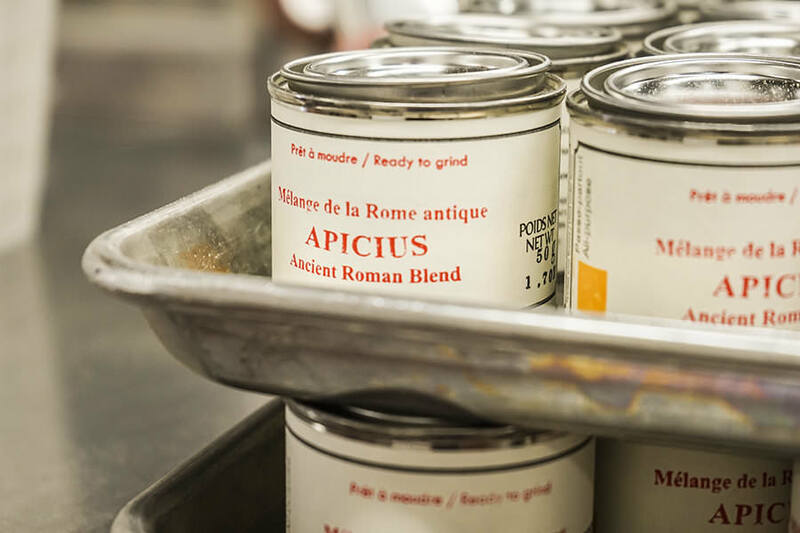 Delving into the myth of Apicius helps us understand how we can think about, and cook like, some of the greatest culinary masters in history. 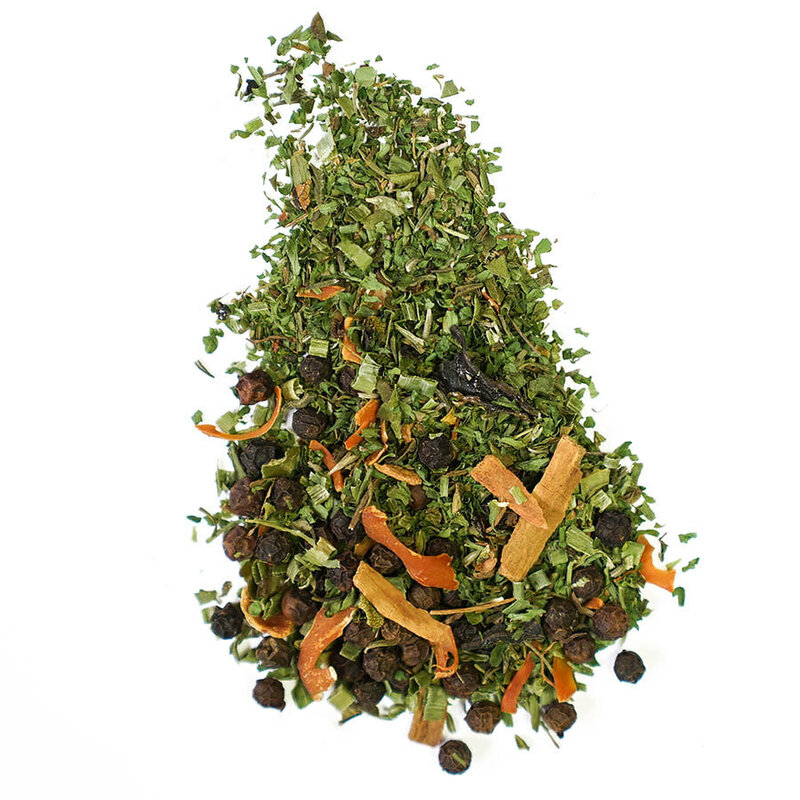 It was the guide for our new historical spice blend, a tribute to Rome that bears the honorific Apicius. Historians, cooks, and amateurs have turned to Apicus for centuries, and we too can take inspiration from his (their) incredible story(ies) and experience an Imperial cuisine. To many who first encounter Apicius, the historical Apicius, the extravagant gourmand instantly recalls images of glorious Roman decadence. Parrot stuffed peacock. Goatfish swimming in wine. Sausage stuffed, honey roasted suckling pig that is sliced open at the table. Dining in the 1st century AD, with the wealth of the Mediterranean and beyond at his fingertips, he challenged the world to a dinner party and won. Best of all, he recorded every incredible detail. Two great books of culinary theory, with vast descriptions of the best Roman terroirs, handed down from perhaps the most dedicated culinary adventurer the world has ever known. But those books aren’t the ones we have today. What survives to the modern age is a short volume, penned in the 4th and 5th centuries by probably several cooks recording their experiences serving a still affluent and still brutal late Imperial élite. And that’s where the story gets interesting. Apicius was such a culinary master, and made such great demands of his cooks, that over the centuries the term “Apicius” became associated with being a great cook- the archimagirus, as one 2nd century guild master put it. Let us be clear: the historical Apicius probably never cooked anything. His slaves would have done the actual work. They were highly skilled, even revered, but nonetheless compelled, with violence, by Patrician whim. The only people who would have cooked in Apicius’ time were slaves, freemen, and working-class Romans. So it was the cooks who carried on making the dishes, and the sauces, and stuffing the different birds, and it was they who, in the end, put pen to paper and handed down their best advice on how to be a great Roman cook. The series contains plenty of high Roman opulence, and even some ingredients that no longer exist. But it also includes everyday recipes, with ones from different provinces, even luxurious dishes that were refined for centuries to make them more manageable. As much as Apicius tells us about the unparalleled decadence that adorned Roman tables, it tells us about the everyday lives of the people who toiled in the kitchen. 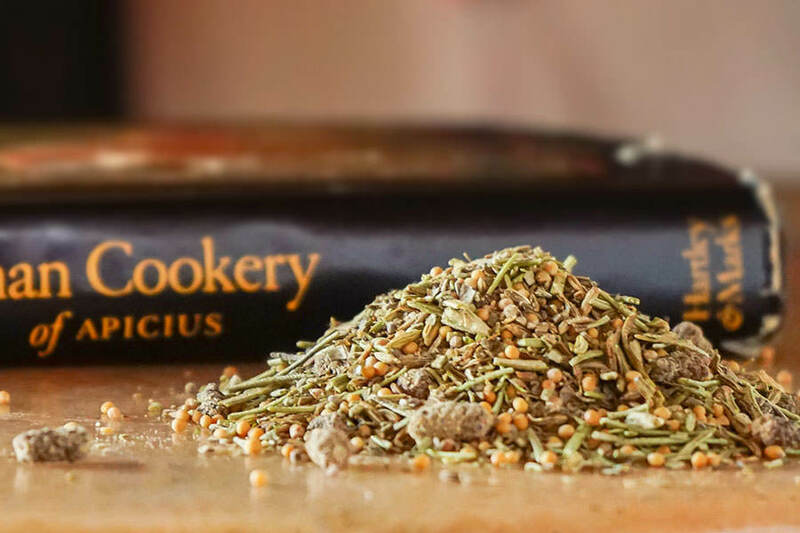 And so we encourage those who encounter Apicius to consider not only musing on its more bizarre entries, but trying out some of the smart, tested, and delicious recipes that still work 2,000 years later. 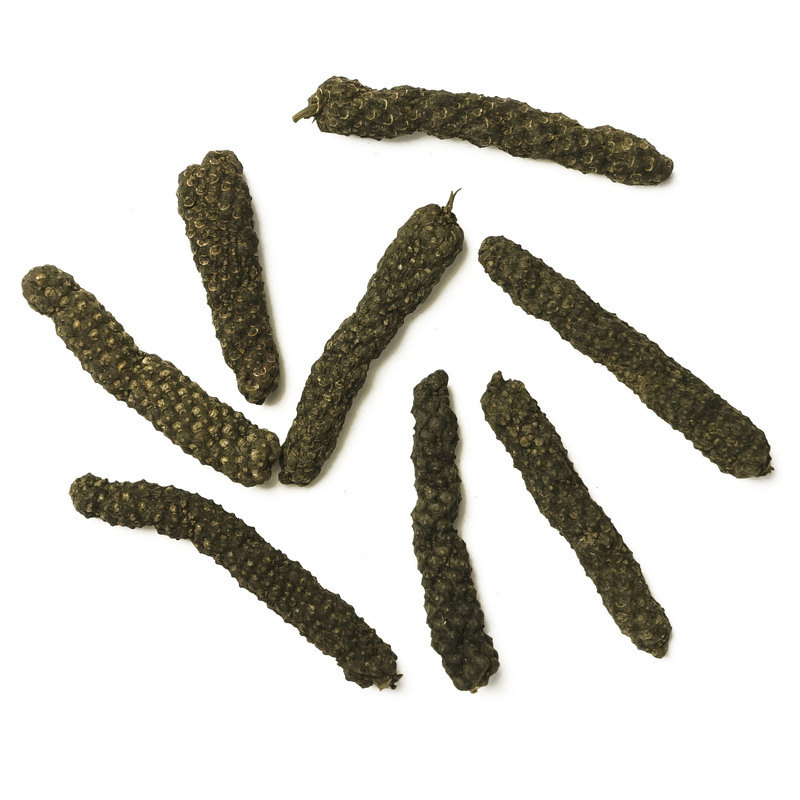 Take, for example, our pork tenderloin. 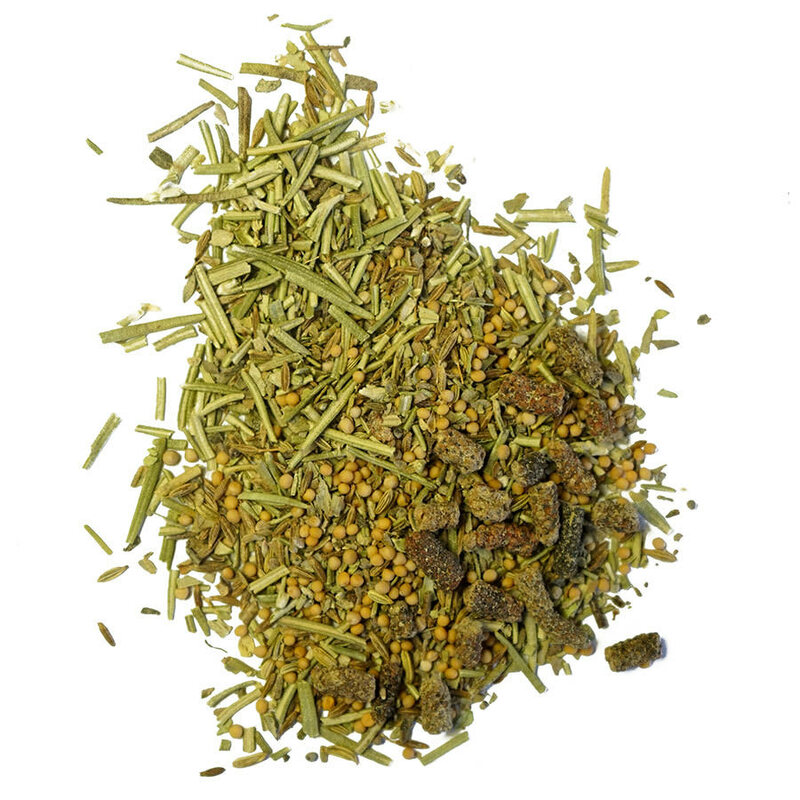 You can even be an Apicius yourself and use our Roman spice blend in some of your tried and true recipes at home. We take inspiration from the texts and tradition handed down by Apicius. 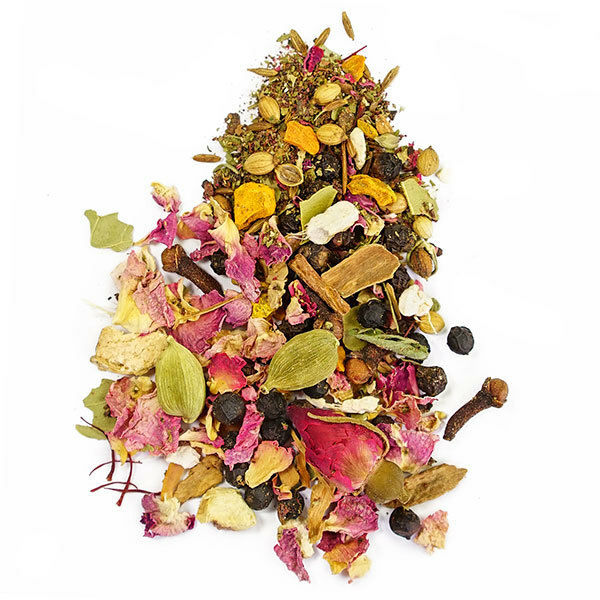 Our blend is inspired by the spirit of Apicius’ cooking: it contains some of Rome’s most valued spices, like pepper, cumin, and ginger, but also Mediterranean classics like fennel, rosemary, and Roman favourite celery seed. Common sense approaches to being completely outlandish. Enjoy.